If you are one of the millions of people who suffer with chronic neck pain due to injury, bad posture or bone disease, then a neck brace may just help you out. Improving the way we lead our day-to-day lives is changing, and more and more people are refusing to live with recurring troubles they are having with neck pain. 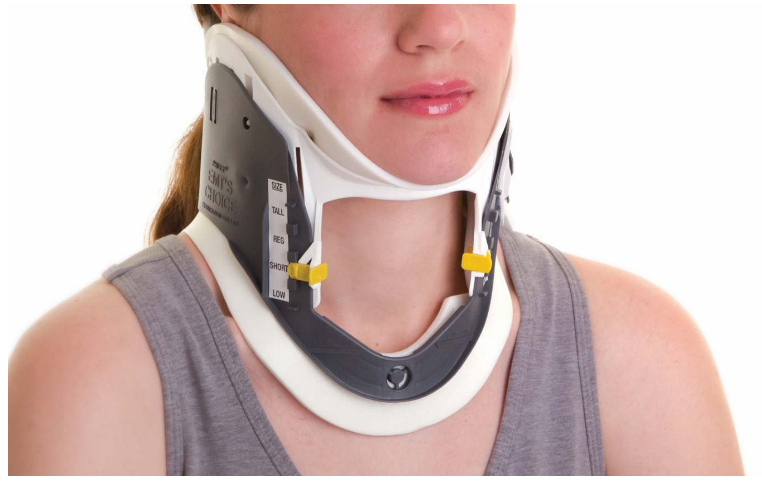 Here are our top five benefits to investing in a neck brace. Posture is one of the main reasons for chronic pain, all down the spine. Work, sport and other activities can all be the reasons for bad posture, and our bodies are only supposed to work in certain ways. Having a neck brace will help with posture, and this in turn will improve the pain, and eventually aid with long-term improvements to how your body works when you take part in the activities and work that you enjoy. Neck injuries can be very serious and can confine people, preventing them from getting out and being themselves. Confidence can be lost, and no one wants to stop the activities they love. Wearing a neck brace after strenuous activity or as you rest can ease the pressure that you place on your neck during this time. A neck brace essentially takes some of the weight of your head off your neck. This will minimise the chances of injury occurring, and give time for your neck to recover. If you are one of the unfortunate people to have suffered a neck injury, or live with chronic pain, wearing a neck brace will help your neck repair itself by taking the pressure off. Again, wear it during times of rest, or if you are recovering, wear it from day-to-day to ensure that the least amount of impact is put on the damaged neck. Your physiotherapist will advise on how and when to wear the neck brace to get the most benefit from it, but it is very common to wear it if there is any danger of lasting issues related to injury. Neck injuries can halt careers in many fields, including sports, but using the right recovery methods, including wearing a neck brace, will get you back to doing what you love sooner than you thought. There are many stories of sportspeople coming back to their sport after neck injuries, and being back to their peak physical strength. It’s not just sport of course, but if you are coming back from a trauma, knowing that you have the support when you need it can really help you get back you being yourself, whatever you do. Those who may benefit from wearing a neck brace can vary in their reasons for needing one. It’s not just those who have suffered injury or recurring pain, but those who have trouble sitting at a desk at work, or even sleeping comfortably. Wearing a neck brace is no longer associated with those who aren’t as strong as the rest, they are for anyone who needs a little support now and again.